Althought Kiss Me's Mobile Makeup Station has come to an end, but still I would like to write about the cute launch of the mobile makeup station and also a mini giveaway *ahem* to bribe thank you all the support I've got from all of you, to be a reader and friend of my humble blog, to see me grow and also allow me to share all my experiences through my life, events I've attended and things I've been experiencing and blogged about it all along. This is the 2nd year Kiss Me Malaysia has launched this mobile make-up station thingy. You know it is kinda like a Japanese culture to have trucks serving as mobile advertisement medium to create more awareness than a still advertisement at a particular location. 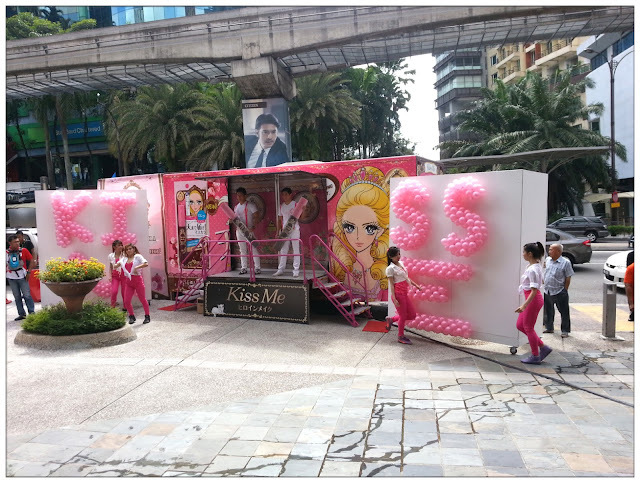 Kiss Me's Mobile Makeup Station creates the same effect as well, but more than an advertisement itself, it is a truck full load of Kiss Me's awesome products imported from Japan, you can try it on the truck or ask help from the sales assistant and let yourself drown in the world of cuteness overload princessy mobile makeup station! The launch took place on a super sunny Saturday morning. Nobody has seen the mobile makeup station yet, but it's gonna unveil soon! That day will be the same day Kiss Me launch their latest brown mascara in the market that's available at selected SASA and Watsons store nationwide! The event dresscode is pink, too bad I don't have any pink stuff in my wardrobe, gotta make do with a purple-looking fuchsia pink dress. 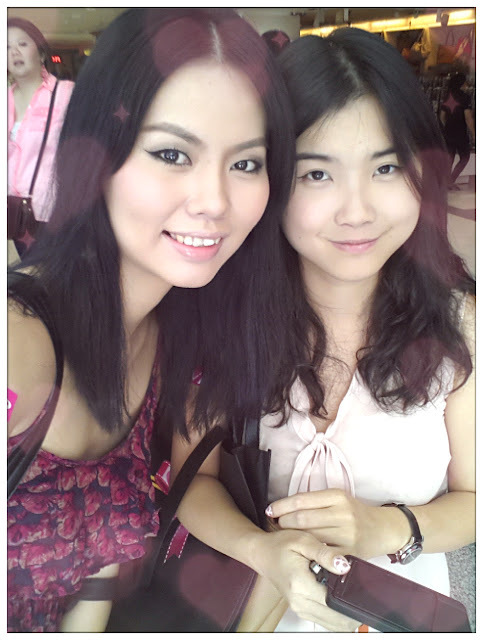 With Jean at the launch, she's going Korean lately! Love her style!!! We waited for the VIPs to arrived and the launch started. Firstly, an opening remarks by Mandom corp. director. 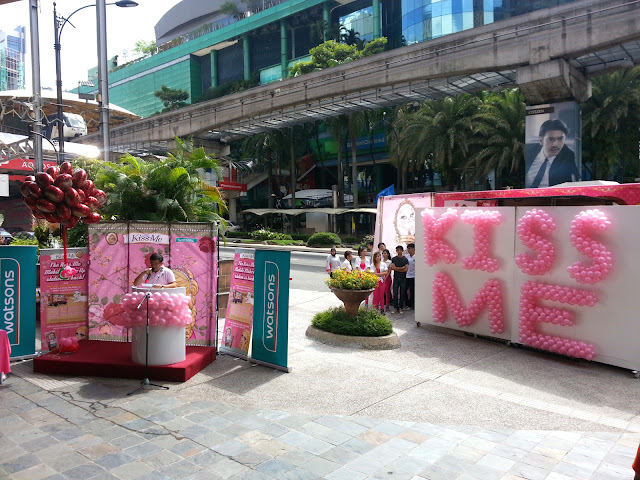 Mandom corp is the distributor of Kiss Me products in Malaysia. Later, another opening speech by VIP of Watsons Malaysia. 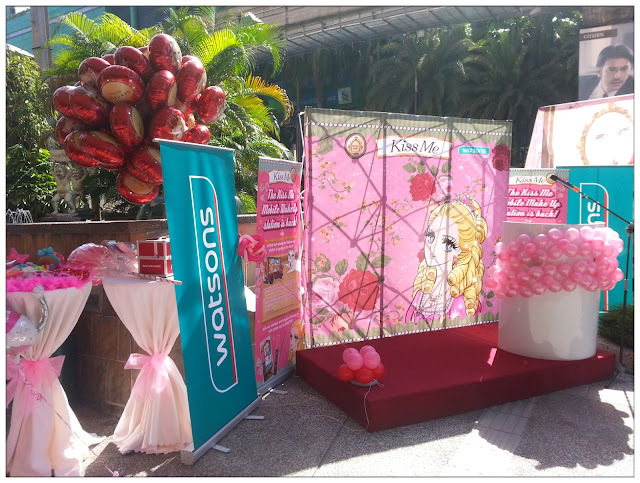 Watsons Malaysia Merchandise, Space and Planning Director- Caryn Loh. 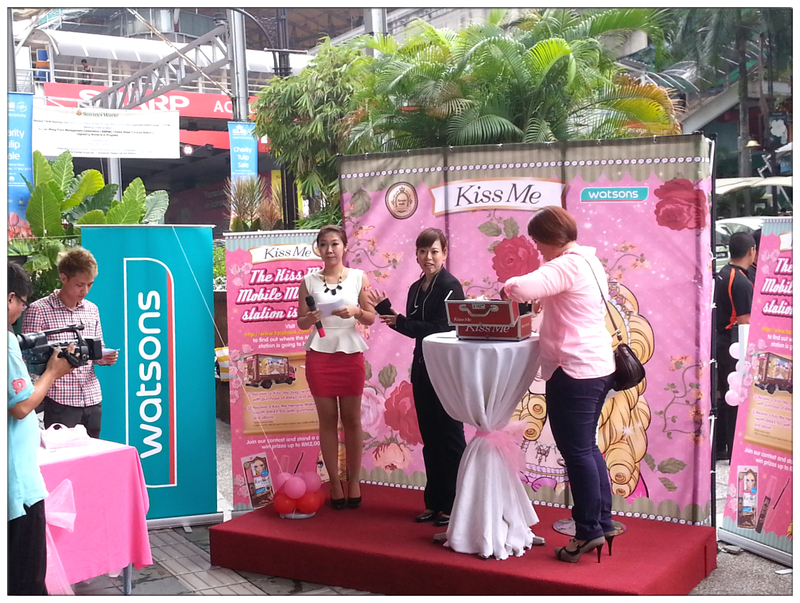 Here starts the official launch of Kiss Me Mobile Makeup Station. Cheeky Japanese song dance performance. 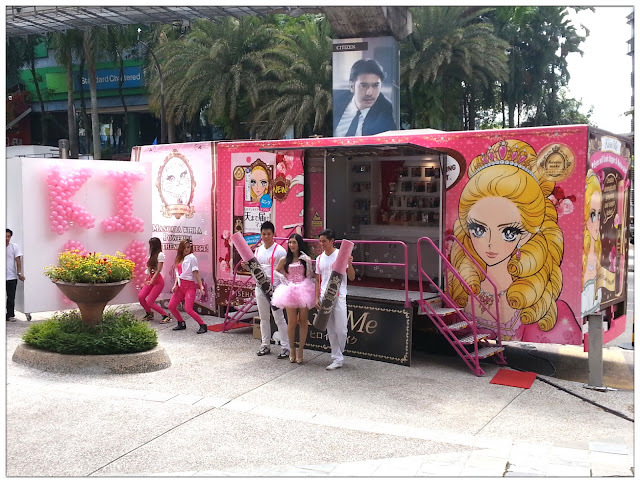 Kiss Me's Brown Mascaras as well as mobile makeup station is official available! Doll-like princess walked out from the mobile makeup station. Kiss Me Heroine Make series is one of my favourite when it comes to Japanese brand cosmetics. It is affordable, princessy packaging and of course, of its lasting lipstick and lipgloss and water-resistent mascaras which always on the top of my list when it comes to buying one. The brown mascara is a must for girls who wanted to look naturally especially those who have dyed their hair brown. The brown mascara gave a natural and gentle impression and is a good match to pink, brown and pastel colour eyeshadows. For all the guests, medias and VIPs who were at the launch, there was a make-up demo session and the make-up artists was invited all the way from Japan just to teach everyone how to do a Japanese-ish makeup by using Kiss Me's products. 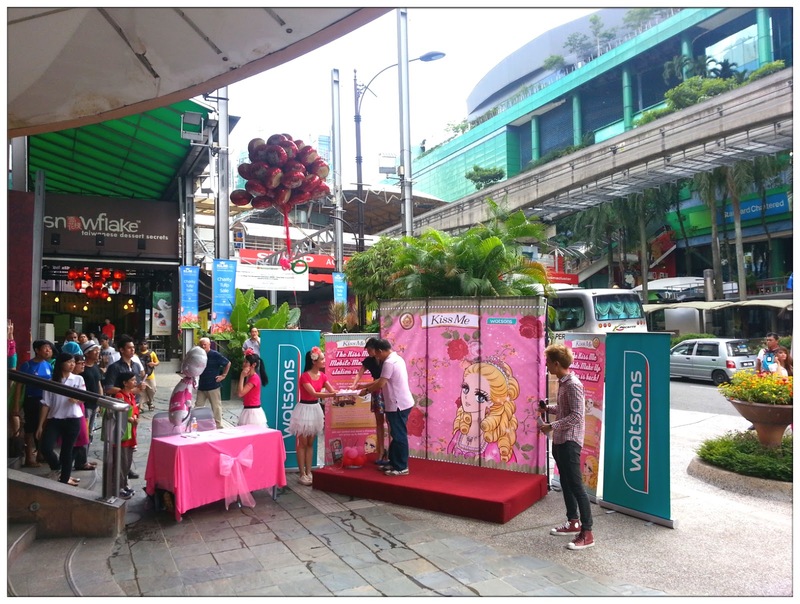 Makeup demonstration by Ms. Sayaka Kondo, professional make-up artist from Kiss Me Japan. Learn ALL the makeup tips and be princessy! Shopping in a princess house is my feeling. lol. 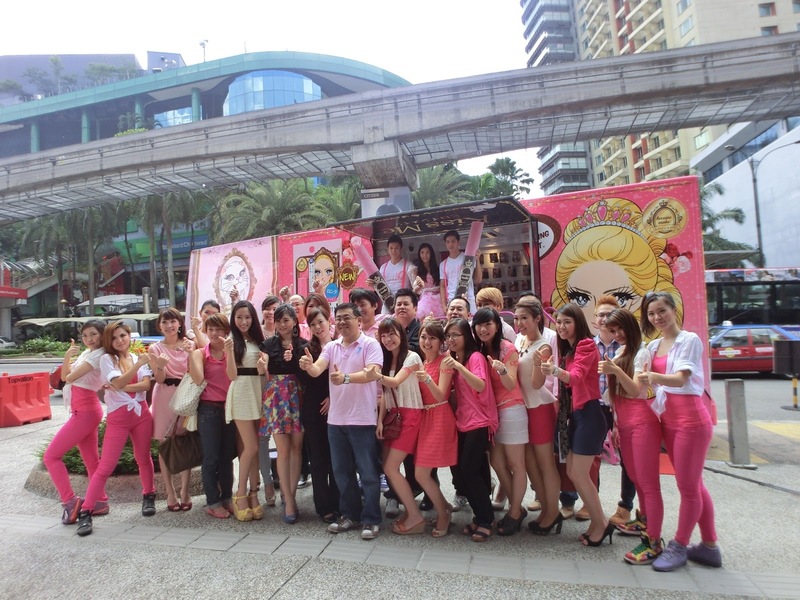 The official launch ended with a pretty group photos of everyone from Mandom corp, Kiss Me department as well as representatives from Watsons Malaysia. 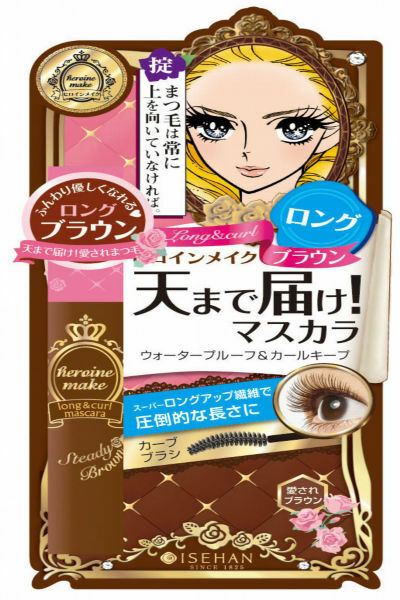 Now, enter the giveaway and you might win yourself a brand new brown mascara from Kiss Me Heroine Make series!!! This giveaway will ends on 24th of June. 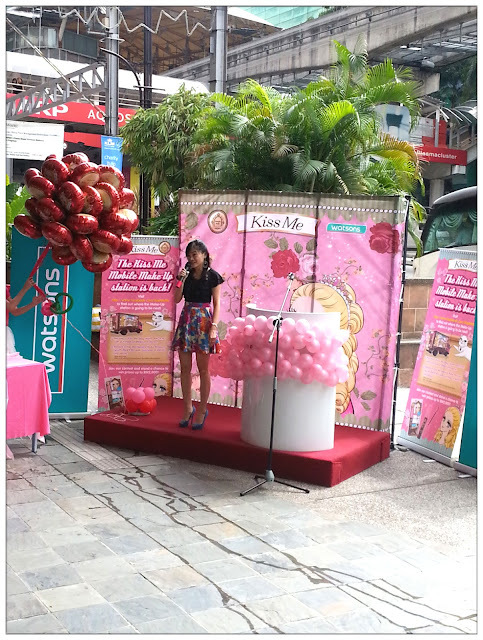 Be pretty, be princessy, use Kiss Me!